Lady Arianna Hadley's desire for revenge has brought her back to London from exile in the West Indies. Determined to find the men responsible for her disgraced father's murder, she disguises herself as a man and contrives to be hired as a chef in one of London's aristocratic households. 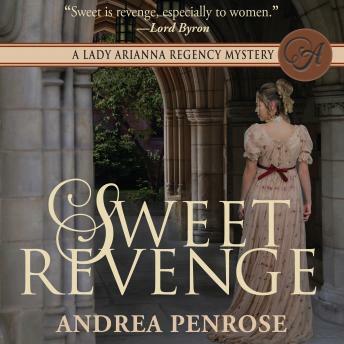 But when the Prince Regent is poisoned by Arianna's special chocolate dessert, she finds own quest has become intertwined with a far more deadly intrigue. As their investigation takes them from the glittering ballrooms of Mayfair to the slums of St. Giles, they uncover a cunning plan of fraud that could throw the government into chaos. Determined to bring the culprits to justice, they set an elaborate trap, but they find themselves dancing on a razor's edge-and one false step will prove fatal . . .